Joomla users will benefit big time! The video training will be offered for free at http://training.joomla.org. It is being supplied by the industry leading Open Source Training LLC based out of Bradenton, Florida, in the United States which has been an excellent source of Joomla training videos and tutorials for many years. OSTraining is owned by Steve Burge. Steve has been involved with Joomla for a long time and he is also the author of a best selling book about Joomla called Joomla!® 3 <explained>". A portion of the money from his book goes back to Joomla. He is also a former member of OSM who has been very generous to the community in many ways. Among others that you may see in the videos will be Rod Martin. He is an excellent Joomla trainer and site integrator. Rod has done live Joomla training all over North America for OSTraining. I met Rod in person in Toronto and shortly afterwards took over the live Joomla training classes there from him since I live a lot closer to Toronto than he does. 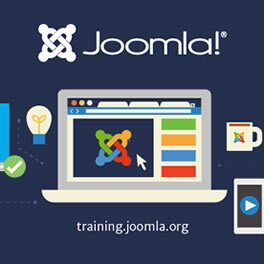 The video training will teach users Joomla best practices. I can’t tell you how many times have I seen website content publishers doing things such as uploading oversized images into their articles which haven’t been properly optimized for websites. Expect to learn all sorts of great hints and tips on how to set things up correctly and have a proper workflow. Of course once someone masters the beginners basics they may want to progress to a higher level of Joomla training and they can do that by enrolling at OSTraining as well. Prices are very reasonable and the quality of the training is excellent. This could be one of your best returns on investment in regards to your Joomla website. The Joomla / OSTraining partnership is excellent for the Joomla project and the community at large. There is no better way to learn how to use the best open source cms software on the planet today than from the best Joomltraining company available. A resource like this should attract new users to the Joomla CMS. OSTraining did not charge the project for setting up the video training program. They also offered to give a portion of the proceeds of anyone who upgrades from the free video training to a paid training back to the Joomla project. Here’s your opportunity to shine! Joomla has a huge community of volunteers who give back to the project in many different ways. If you want to see how you can get involved take a look at The Volunteer Portal. Here you will find good people volunteering their time and skills to the project. If you see a Joomla! Working Group there where you think you might fit in just visit the “Get Involved” tab for the group to contact them. This is how you can contribute to make things happen in Joomla. It is very satisfying to bring something new to life just like this video training program. Nothing happens without volunteers stepping up and getting involved. Here’s your opportunity to shine, go for it!